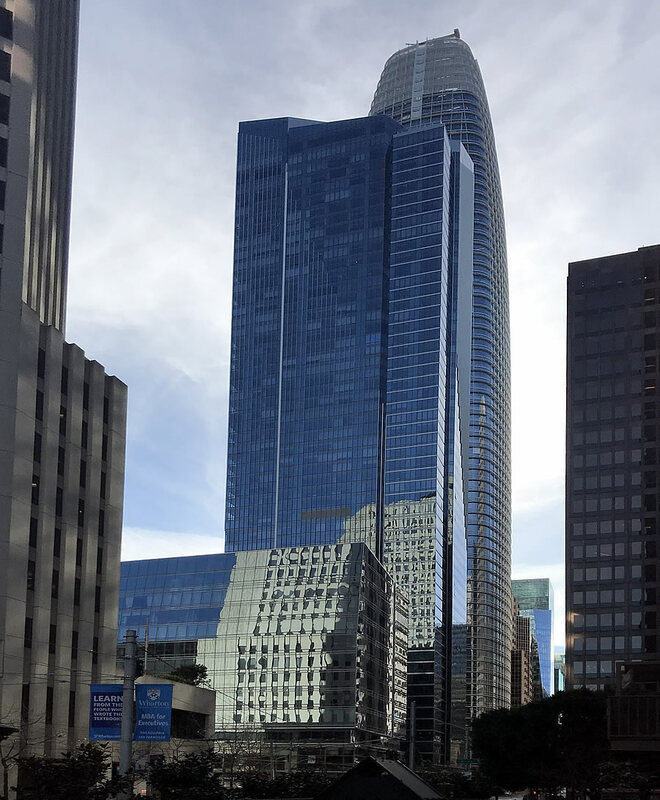 With the initial round of testing having proven successful, the plans to permanently stabilize the sinking Millennium Tower by adding a series of 52 new piles around the tower’s perimeter have been further refined, building permits for the fix have been requested, and a final round of pre-fix testing is about to get underway. As envisioned, a 10-foot wide, 27-foot deep, trench would be excavated along the tower’s western perimeter fronting Fremont Street, and down 125 feet of Mission Street, allowing for the installation of the aforementioned new piles, each with a diameter of 24 inches, between the tower’s existing mat foundation and down to the bedrock below. The retrofit would transfer around 20 percent of the tower’s weight to the new piles, “with intent of arresting [building] settlement and improving the foundation lateral capacity,” reducing stress on the tower’s mat foundation and Old Bay Clay below. And while the stabilization project is currently expected to take around two years to complete, the perimeter approach will minimize the impact on the building’s residents and garage, neither of which will need to be vacated for the project to proceed. But once again, exactly who is going to be on the hook for covering the cost of the fix could take nearly a decade to resolve, with the Transbay Joint Powers Authority (TJPA) named in nearly a dozen lawsuits related to the sinking tower at 301 Mission Street, which is adjacent to the TJPA’s new Transbay/Salesforce Transit Center project which is now being fixed as well. Millions of these hundreds, in fact. 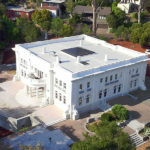 The projected cost for the proposed fix, not including legal fees, lawsuits or any work to date, has been estimated at $30 million for the purposes of permitting. A foundation on which to build a handsome retirement for an army of contractors, lawyers and consultants…methinks the estimate is conservative. The various parties should drop their lawsuits and agree to share the cost of the construction. The city should chip in and waive any permit fees for the construction, seeing as they are at least partly responsible for the predicament. Transbay has zero incentive to pay for this unless there is actual evidence that they are responsible. The builder was foolish to build a concrete framed building (3x heavier than an equivalent steel frame building) on landfill using only friction piles. And the city was foolish for approving it. The sub-grade parking levels of this building and pretty much all of the relatively modern buildings nearby extend well below the bottom of artificial fill. While the piles do not extend to bedrock (and per a SFGate survey a while back, very few buildings of 301 Mission’s era and older do), the building is not built on landfill (though often repeated), rather supported on natural deposition that can have a lot of bearing and friction capacity. That capacity however, is also arguably influenced by groundwater hydrostatic pressure differentials (unlike competent bedrock). I think I recall that the Transbay Terminal’s dewatering is an issue in the lawsuits. The Transbay project spent (to the best of my commuting pedestrian sidewalk-supervisor recollection), well over a year filling the entire foundation footprint between Fremont and Beale with solid secant piles to bedrock (pin piles everywhere else, I think), so they were at least paying attention to the neighbor. Good solution. They can use that for Build Group’s 1500 Mission Street project in a few years too. What an atrocious looking building. Maybe they can use some of the lawsuit money to do something to make it less jarring/off-putting. I’m glad to see a static solution with no moving parts. The proposed “freeze the soil permanently” solution seemed unsustainable. Chiller units running 24/7 seemed like a waste of energy and not very robust. My guess that proposal was floated (no pun) by someone on the hook to install the fix but not maintain it through the life of the structure. Is that the “Fukushima” option? I thought that too, steve, but the thing to remember is that Tepco’s “ice wall” at Fukushima to contain the flow of groundwater into the plant’s basements isn’t actually working, so it’s refreshing that approach wasn’t attempted here. The project as proposed would not actively fix the lean. But any future settlement should help self-right the tower (at which point, a second set of piles could be required to permanently fix the tower in place). Constructing a building with a concrete (instead of steel) frame in this city is a huge mistake. I doubt any more tall buildings will be allowed to have concrete frames. But that does make me wonder, have any concrete framed tall buildings been constructed in the city since Millennium Tower was completed? It is only a huge mistake if like this developer you fail to build the appropriate foundation to support the added weight of the building. Had the building been built with a foundation down to the bedrock, then there would not have been an issue excessive settling of the building. Yes, that’s true. But there’s also nothing inherently better about concrete framing. All of the residential towers in Transbay are concrete frame..
Millennium Partners New Mexican Museum tower is also concrete frame. God only knows where this will all end up. I’m not an engineer but I believe in engineering 1a for architects they something like “reinforced concrete is really good for 5-10 floors: but that’s it as it weighs a lot.” So I feel the developers, their engineers, and a few city planners/engineers, may have issues down the road: perhaps one too many handshakes went on behind closed doors, and I’m not surprised really either. Post-tensioned concrete like that of the Millennium Tower is a proven structural system for high rises. Obviously the issue is not the structure but the adequacy of the foundation to support it. 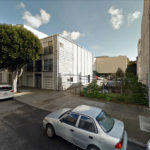 I believe 706 Mission (owned by the same developer as the Millennium Tower and currently under construction) is also concrete but was redesigned to have its foundation to bedrock. In any case, it will be interesting to see how the various structural and foundation systems fare during the next big quake. The tallest building in the world is made of reinforced concrete. Concrete versus steel is not the chief concern.